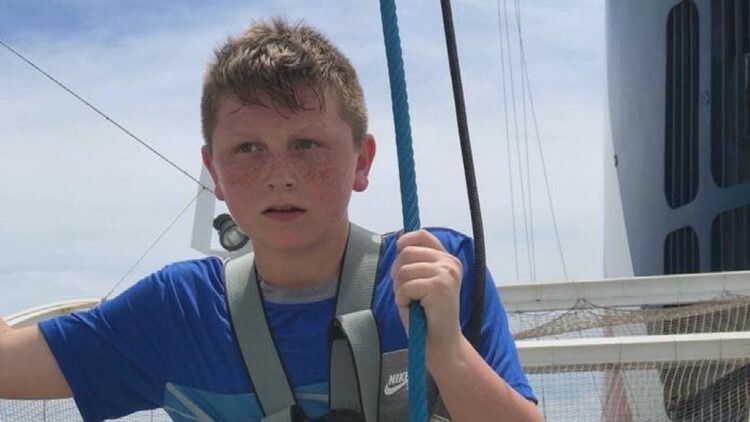 A 12-year-old boy from Blount County continues a slow and steady recovery after suffering a stroke in September 2017. His parents want others to be aware of childhood stroke and its symptoms. Knoxville — National Stroke Awareness Month attempts to educate people to recognize the symptoms of the life-threatening "brain attack." While it is more common for a stroke to impact adults, children are also at risk. 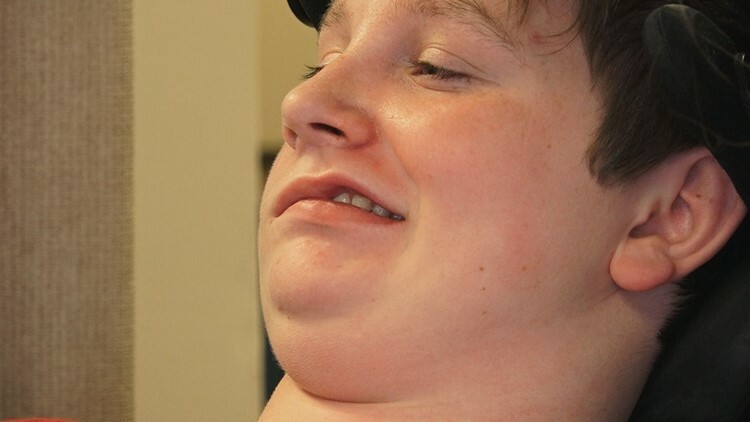 "Would you have thought an 11-year-old boy was having a stroke? I want parents to know strokes can happen in children. It doesn't matter the age. They do happen," said Kelly Cummings, whose son Jonathan suffered a stroke in September 2017. Photo of 11-year-old Jonathan Cummings prior to suffering a stroke in September 2017. Cummings says the main warning signs she observed were extreme headaches. "He said he had a very bad headache at the very top of his head. At school, even when the kids were playing, he would just go lie down because his head was hurting so bad," said Cummings. "So, we took him to the hospital and from there it progressed." Jonathan's headaches were the result of an aneurysm deep at the base of his brain stem. His vision blurred. He couldn't move. The Cummings had to quickly search for a hospital both capable and willing to perform risky surgery. Jason was ultimately moved to Vanderbilt. The doctors said he would not survive. Kelly Cummings and her son, Jonathan, at Fort Sanders Regional Medical Center in Knoxville. "The surgeon pulled my husband and me to the side and said he [Jonathan] will never wake up. There was a lot of swelling on the brain and he's probably got around two to three days to live," said Cummings. "A few days later, Jonathan woke up." The family began a tour of several hospitals and specialists across the region with almost everyone giving Jonathan little chance to survive or regain use of his limbs. "They all said he had 'locked-in' syndrome. He knew what was going on, but would never be able to move. Two weeks after we came home from the hospital in Atlanta, he started moving. He moved his left leg. The next day he moved his right leg. Two days later, he was moving both of his arms," said Cummings. In February, Jonathan began in-patient treatment at the Patricia Neal Rehabilitation Center at Fort Sanders Regional Medical Center in Knoxville. Progress has been slow, but steady. "He can communicate with his eyes. He can type by looking at a screen. Just talking to him, he will look up for 'yes' and down for 'no.' He loves talking to his gamers and looking at videos on YouTube," said Cummings. Therapists at Fort Sanders say there is no containing Jonathan's sense of humor. "As we got to know him, we got him laughing, joking, and his personality really started coming out. He would give us that little 'Elvis smile' of his," said occupational therapist Beth Melancon. 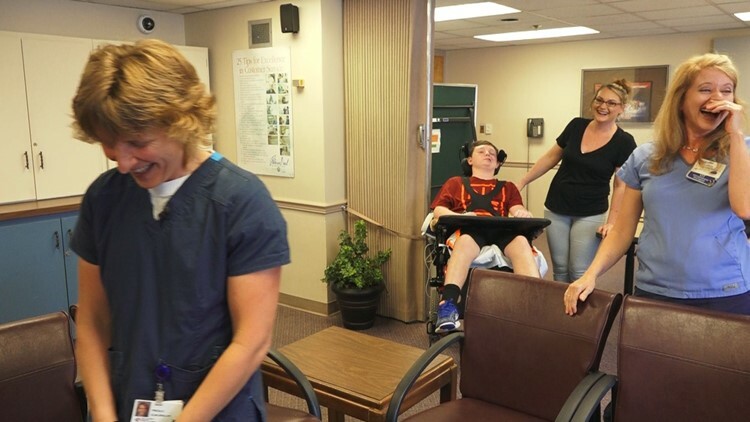 12-year-old stroke victim Jonathan Cummings makes his mother and therapists laugh&nbsp;at Fort Sanders Regional Medical Center in Knoxville. "He's getting a little bit stronger every day. And that's allowing him to do a little bit more," said physical therapist Tricia Erpelding. "It's exciting to see some of the progress he's making. Even though it is slow, it is still progress." Therapists say recognizing the symptoms of a stroke and quickly seeking treatment can determine survival and quality of life. "We tell people it's the acronym FAST. Face, arm, speech, and time," said Melancon. "That means facial drooping, arm weakness, slurred speech, and the time it takes you get to the Emergency Room." 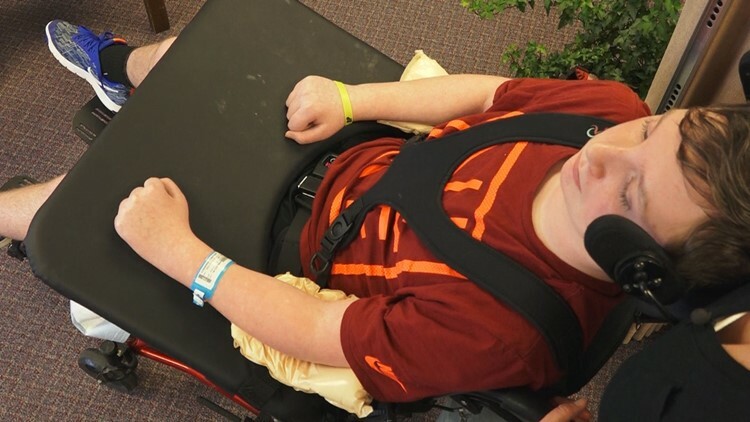 12-year-old Jonathan Cummings continues recovering from a stroke at Fort Sanders Regional Medical Center in Knoxville. 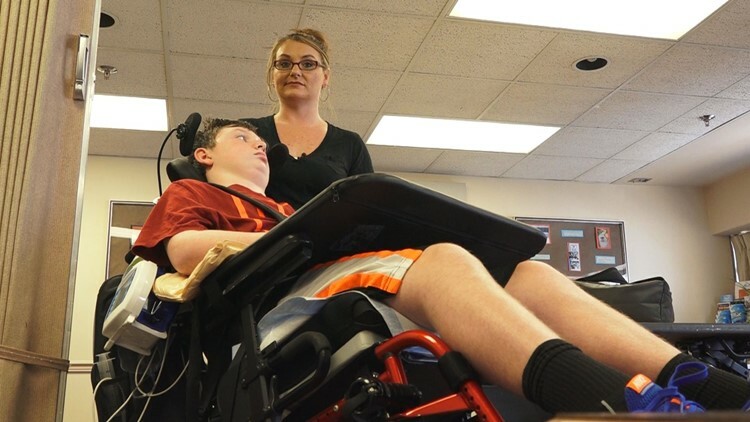 Because Cummings took Jonathan's symptoms seriously, he has lived to celebrate his 12th birthday and continues to regain muscle movement and strength. He can do inclined leg presses and some exercises to move his arms and shoulders. "Hopefully, he'll just keep getting stronger," said Cummings. The Cummings family set up a public Facebook page titled "Jonathan's Journey" where you can follow his recovery.